Turn Your 2018 Resolutions Into Reality! Based on the number #1 Best Selling Book, Delete Stress And Pain On The Spot! 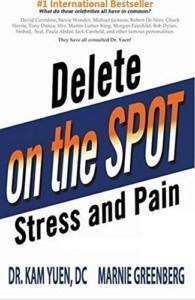 Delete the Cumulative Effect of ALL Your 2017 Stress and Pain, On the Spot!